Facebook has admitted that recent updates to prioritise personal interactions over posts from businesses, brands and media caused the time spent on the service to drop 5% in Q4. Speaking on the social network’s fourth quarter and full year 2017 results conference call, CEO Mark Zuckerberg said that strategic shift reduced time spent on Facebook “by an estimated 50 million hours every day”. 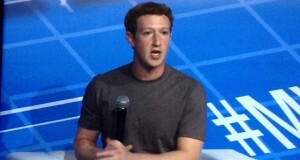 He said that by focusing on “meaningful interactions” Facebook will offer more value so that its community and business will be stronger over the long term. “Over the next three years, we know video will continue to grow, so our job is to build video experiences that help people connect with family, friends, and groups,” said Zuckerberg. Zuckerberg said that the ‘News Feed video ecosystem’ and the ‘Watch video ecosystem’ are “almost completely separate things”, with Facebook Watch designed to be destination where users go to view specific videos and interact with a community around that content. For the three months ended December 31 Facebook reported total revenue of US$12.97 billion, up 47% year-on-year. Of this US$12.78 billion was ad revenue. Net income was up 20% at US$4.27 billion.